Dornoch Historylinks Image Library - Notes on Sutherland archaeology etc. Notes on Sutherland archaeology etc. Notebook belonging to Miss Lyon, containing notes on a variety of subjects including Northumberland history, cairns and brochs in Sutherland, population of Sutherland parishes, Telford, and bridges over the River Dee (Wales). 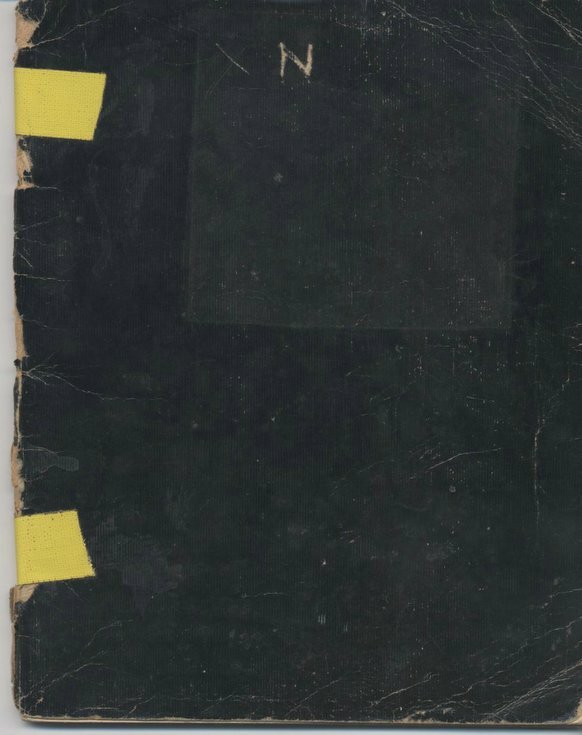 Black cover torn and repaired with yellow tape, detached from notebook.